Obstacles to American cannabis reform are creating a quirky if valuable market. Cannabis is still a “Schedule I” drug. From a practical perspective, this has created a multi-billion dollar industry that as of yet, cannot get reliable banking services. It also means that patients cannot get the drug covered under health insurance. There are no national safety requirements for growing, packaging, labelling or consumption. This is certainly not the case elsewhere. Other countries are rapidly outpacing the U.S. in such regards even if their commercial markets are not (yet) of the same size. Outside of Canada right now, Europe is the place where most of these things are happening. Just as in the U.S., however, there is no one single path to reform. Who Is Interesting In Europe? Germany. Cannareform auf Deutsch currently underway makes this the most exciting country in Europe right now. The country is basically the “California of the EU” as it were, with about 20 million more people. As of January 19, the lower house of the German parliament voted unanimously to legalize cannabis for medical use. Further, they voted to cover it under public health insurance which covers 90% of Germans. Yes, this is a system in process. Yes, there are problems. Health insurance companies appear to have launched a tepid attempt to slow this down, but just as in Canada, they are already facing court challenges. It is a losing battle here. Both legal and legislative mandate are very clear. This is an industry that will also begin to grow, per government estimates, at between 5-10,000 patients per year for the next couple of years. It could grow faster than that. With over 1 million potential patients already, and a high interest in plant-based and natural medicine, this is a market more than ready for cannabis products. There are now up to ten growing bids up for grabs here and those who have applied are waiting anxiously as the government is set to announce the winners this summer. The big push right now on the ground is doctor and patient education as well as getting patients signed up for trials. Recreational reform is also far from dead here. The medical question, in fact, has only inspired activists to redouble their efforts to get recreational reform finalized sooner than later. Especially given developments elsewhere, including locally. Switzerland. The Swiss are approaching the question of legalization in another unique way not seen anywhere else. That said, they are clearly inspired by events in other places. Since 2011, low-THC cannabis has been for sale in regular shops. However in the last quarter of 2016 and into the first of this year, the market all of a sudden seems to have woken up. There are now over 160 shops either selling the drug or applying to sell it. This is all product that is taxable. Thanks to this, reformers are now pushing a bill federally that would legalize and tax the sales of all THC products – no matter their concentration. 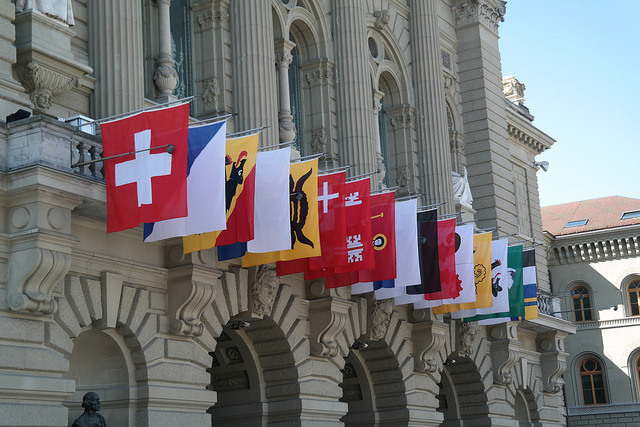 In effect, in other words, the Swiss are looking at tax revenue first. If they succeed, they will be the first country to enter the market this way. It will also push other countries, starting with their closest neighbours, to examine the question of legalization just on this front. The economic justification alone is compelling. Expect Austria to also look at the problem this way. Spain. The country is widely billed as the “next Holland.” Why? Cannabis reform has been very similar procedurally. Due to loopholes in the current law, the Spanish have been able to establish a thriving “cannabis club” market. These clubs are member-driven and non-profit. However locals who are over the age of 21 can sign up and smoke in “semi-private.” Legislation now pending in the Spanish legislature would focus on better regulation of both the clubs and the existing grows that support them. The way the Spanish seem to be approaching the issue is to give larger cities and regions direct control over regulation of the industry. However for now, this is a market that is steadfastly resistant to commercial development on the scale seen in other places. Investors – especially from overseas, are avoiding the market because of this uncertainty. De Wallen (Red Light District) in Amsterdam, where a number of cannabis shops are. Holland. Generation X reformers are used to the idea of the grey market created by the unique nature of Dutch culture and the plant. For the better part of 40 years, the entire industry here has been based on a unique market of seed producers and growers. That, in turn, supports the coffee shop culture. There are many proposals to change the law here, and the industry will probably begin to better regulate – starting with cultivation, as the rest of Europe turns its attention to this issue. It was Holland after all, that started this. What is next for Holland 2.0? It is likely that regional developments will also shape this market too. It is still part of the EU. Italy. While a bit of an outlier, the Italians are also in the game now. How further reform will proceed here, however is anyone’s guess. The Italian military began growing and distributing cannabis to pharmacies last year. The first medically focused canna café has now opened in Rome. Eastern European countries are all over the map on legalization – although most are approaching this as a medical issue. In Czech Republic, legalization has moved forward here steadily in large part because of existing national drug policy. Croatia began importing from Canada last year in the form of cannabis concentrates. Both of those countries have digital prescription systems to integrate with medical cannabis, as part of the legislation legalizing medical use in 2015. This digital dispensation system is also unique so far in Europe, although other countries will be entering this area quickly. Even Turkey has begun to implement reform, allowing producers to begin to grow the plant domestically for local medical use.